Autotransfusion products collect and process a patient's own blood during surgery, thus helping the patient avoid transfusions with donor or banked blood. 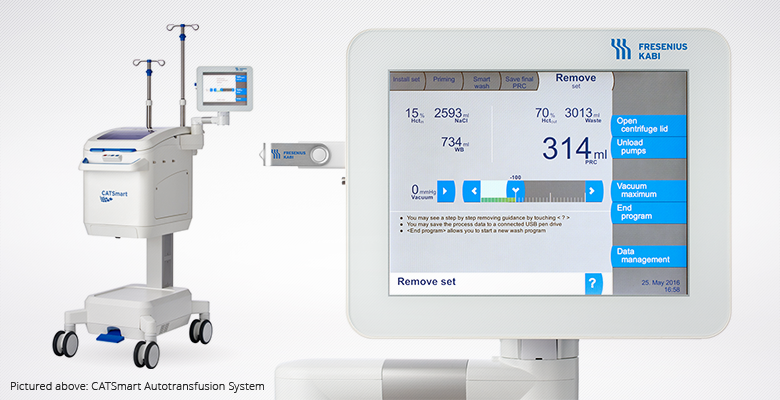 Terumo Cardiovascular Group is the exclusive distributor in the U.S. for the Fresenius Kabi CATS (Continuous Autotransfusion System) devices. The C.A.T.S®plus and CATSmart systems offer many advantages over traditional bowl-based systems including fast processing time, consistently high hematocrit levels, and volume independent operation.